Dental Directory is one of the largest full service dental dealers in the UK, supplying around 12,000 dental practices with everything from toothbrushes to specialist medical equipment. It has built a reputation based on personal service and working in partnership with dentists to understand their business and support growth plans through superior product knowledge, competitive pricing and the capability to supply everything a modern practice requires. It has a dedicated equipment department which supplies, installs and maintains everything from dental chairs and cabinetry through to the latest digital imaging systems and specialist product catalogues featuring orthodontic, oral hygiene and facial aesthetic product ranges. It was founded more than 35 years ago and now employs over 500 people across the UK, including a state-of-the-art automated warehouse at the head office in Witham, Essex, which houses more than 27,000 product lines. In April 2014, Dental Directory was acquired by the parent group that owns Integrated Dental Holdings the largest dental group in the UK. Dental Directory operates independently utilising the support, infrastructure and purchasing power this relationship provides to flex its financial muscle and capitalise on industry insight to continue to provide the product range, prices and services to its core market of independent dental practices. 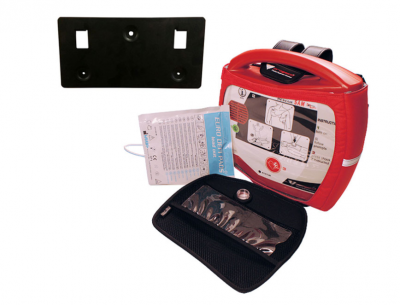 We are offering some of our defibrillators out at a highly reduced cost to other Witham Industrial businesses. Please contact Emma Nichols, Logistics Manger on enichols@dental-directory.co.uk if you would be interested.